I finished up a QOV for one of the members of the Stitching Sisters QOV group this week. This top was made by Greg. What a great design! And I love his fabric choices. And a peek at the back. I have Val’s quilt loaded now. 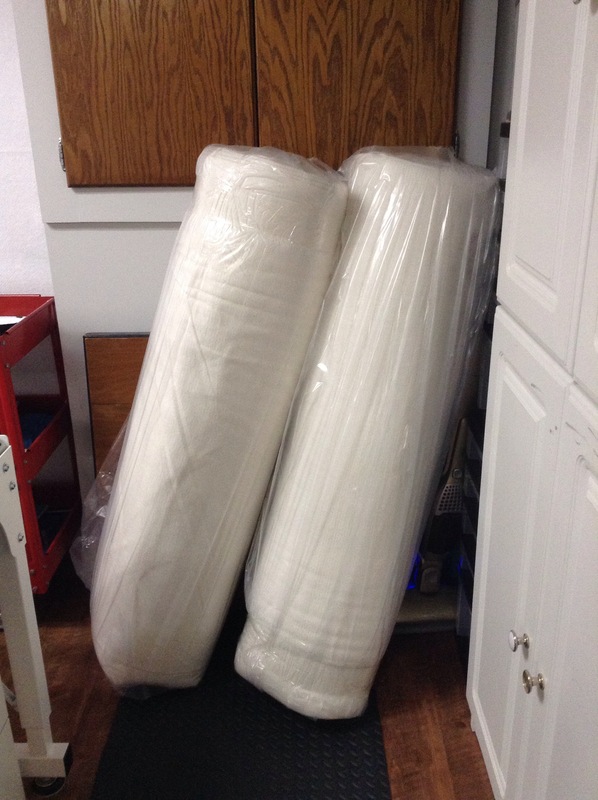 Want to make your long arm quilter really happy? Let me show you a few things Val did. 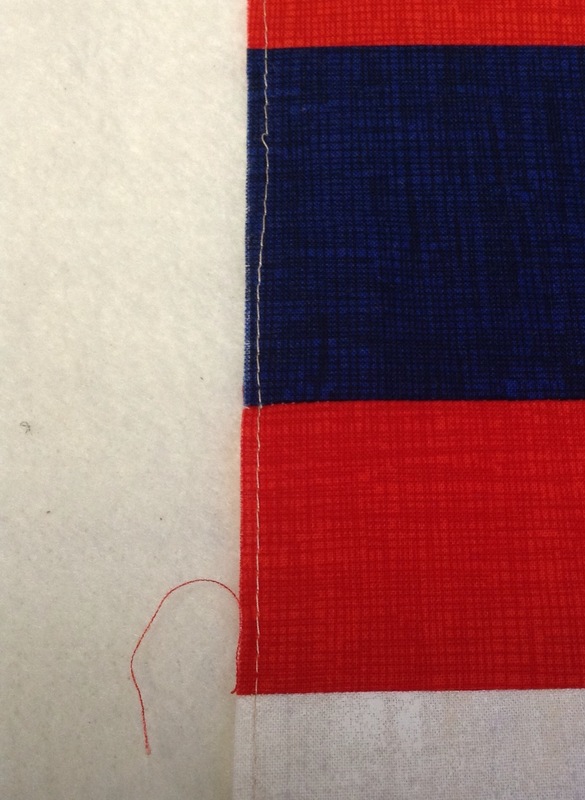 See the line of stitching? She stay stitched all around the edge of her top. This is really important with tops that do not have borders. It means that I don’t have to worry about any seams coming apart while quilting her top. 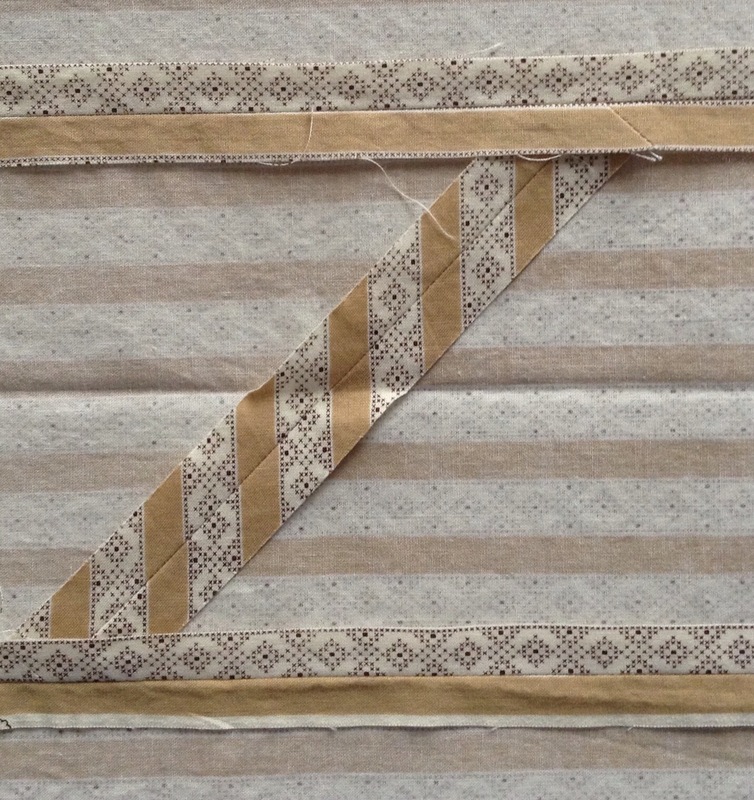 This isn’t a must do step with a quilt that has solid borders, but it really helps if you secure the ends of your seams. Her top is beautifully pieced and lays nice and flat. And check out the piecing she did on this back! i should have taken a picture from the other side. You can’t tell it was pieced! Amazing. Those pressed open seams and generous seam allowances also make my job easier. This afternoon, I had a very important delivery. I was on my very last little bit of batting! I wanted to say thank you all for your kind comments on my Little Sister quilt yesterday. It is now hanging in my office at work so this little sister can enjoy it! 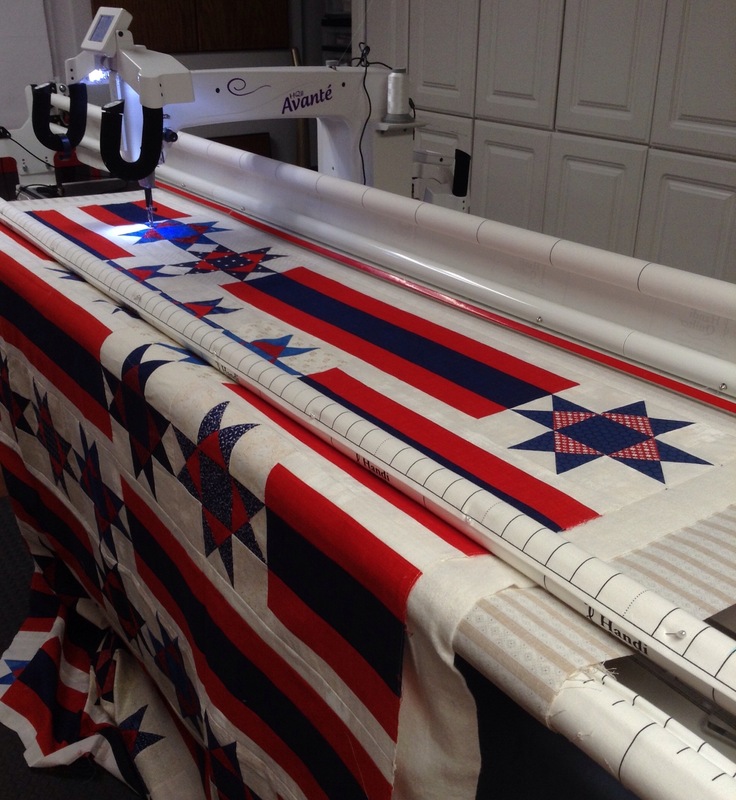 This entry was posted in Finishes, Quilt of Valor. Bookmark the permalink. Hi, Kate I follow you daily, now in AZ. I need to get my regular machine serviced and repaired. My so had this Singer Featherweight 100, which is missing the bobbin case, and I’m wondering if this might be useable for simple stitching. I can’t afford to spend a lot on it, being only an extra. I’d appreciate any suggestions. Thanks for your time. Thanks for the tips on making quilts go smoothly for the long arm. I plan to make one for my own bed and have it quilted. Thanks for the positive feedback, Katy. We love to know what makes our longarmers happy! Val & Greg are both impressive quilters. They both are precision piecers & their tops are always gorgeous. 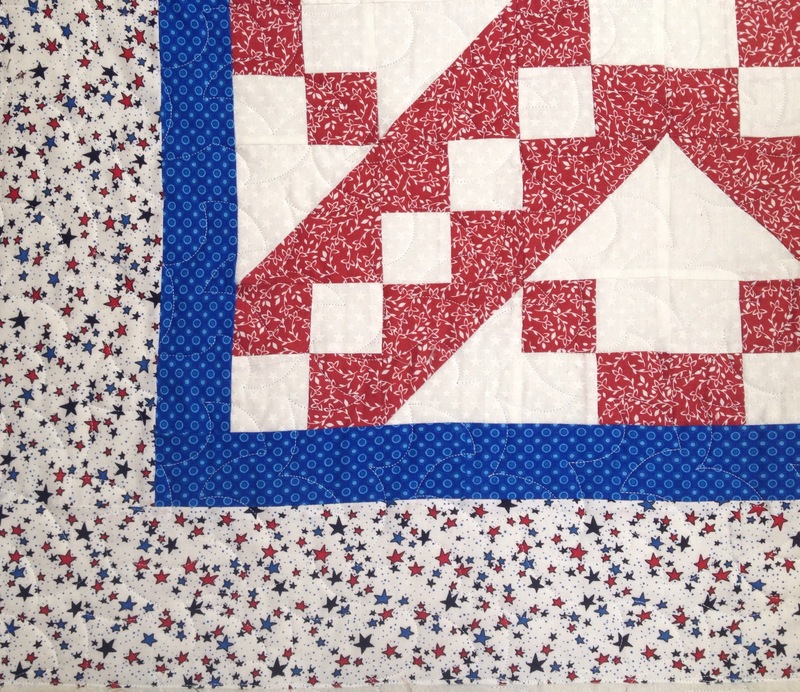 Love what you did with Greg’s & looking forward to seeing Val’s quilted. I’m glad you showed these. I must have left the sew day before they showed them. 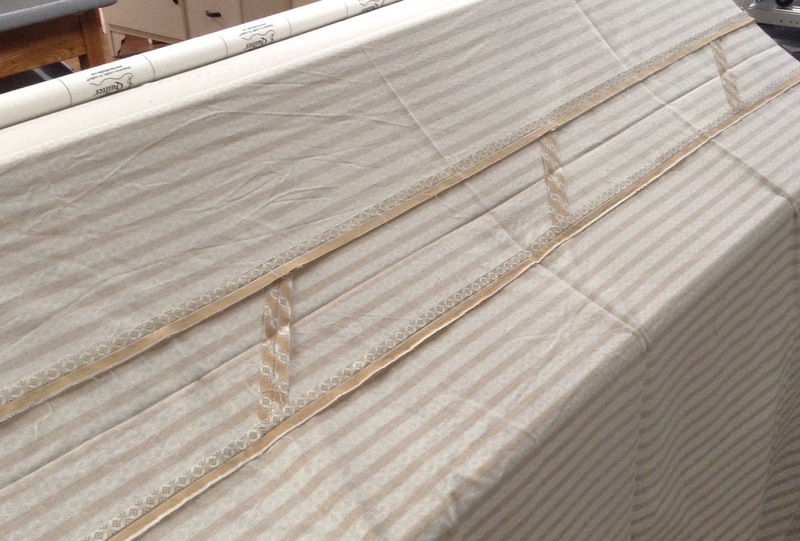 Thank you for those tips for the longarm quilter. I have always wondered if pressing the seams open on the back wouldn’t be better if it is being machine quilted. The reasons for pressing to the side seem not to be so important anymore. I, too, like to stay stitch my pieced edges before sending to be quilted. I try to clip all those loose threads, too….don’t want them to show through onto the top or to sneak through. And you quilt beautifully. And the tips on how to make your longarm quilter happy, timeless! Do you mind if I print this post out to share with my clients? As they say, a picture is worth a thousand words. 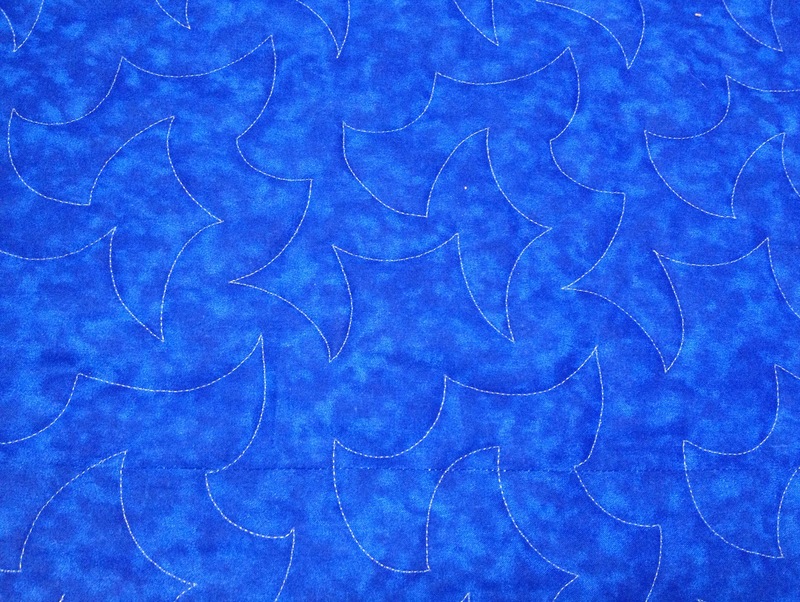 I’ve seen quilt tops come in with so many thread tails that a flock of robins in the Spring couldn’t use them all. And you wonder do they think you are going to quilt that tangled nest into a seam and it won’t show? Your client obviously takes great care even if the quilt is going to an unknown recipient. That’s the way we should all do our work. This shows in your quilting as well. 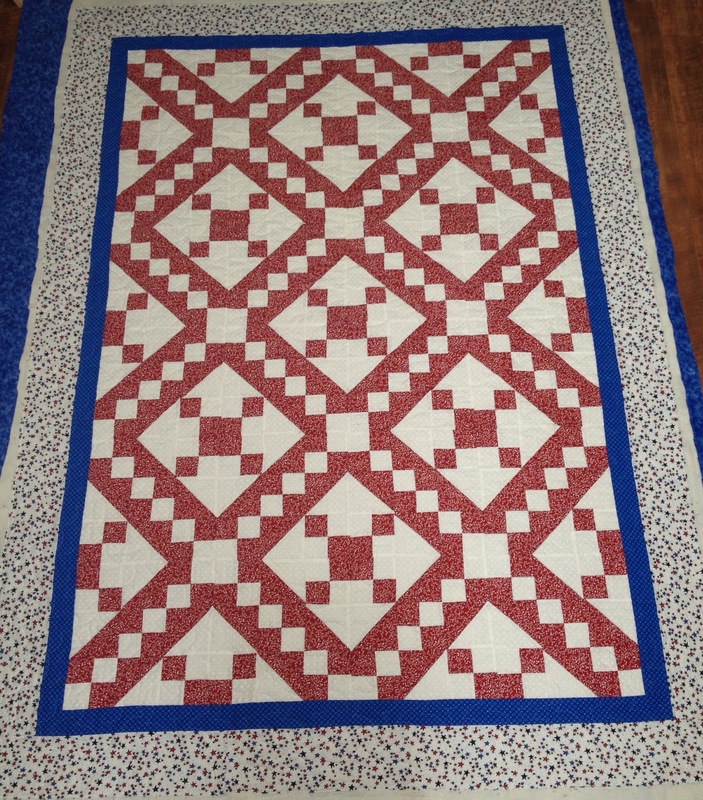 Fabulous job of quilting that red and white QOV. Can’t wait to see you work your magic on the R/W/B one.